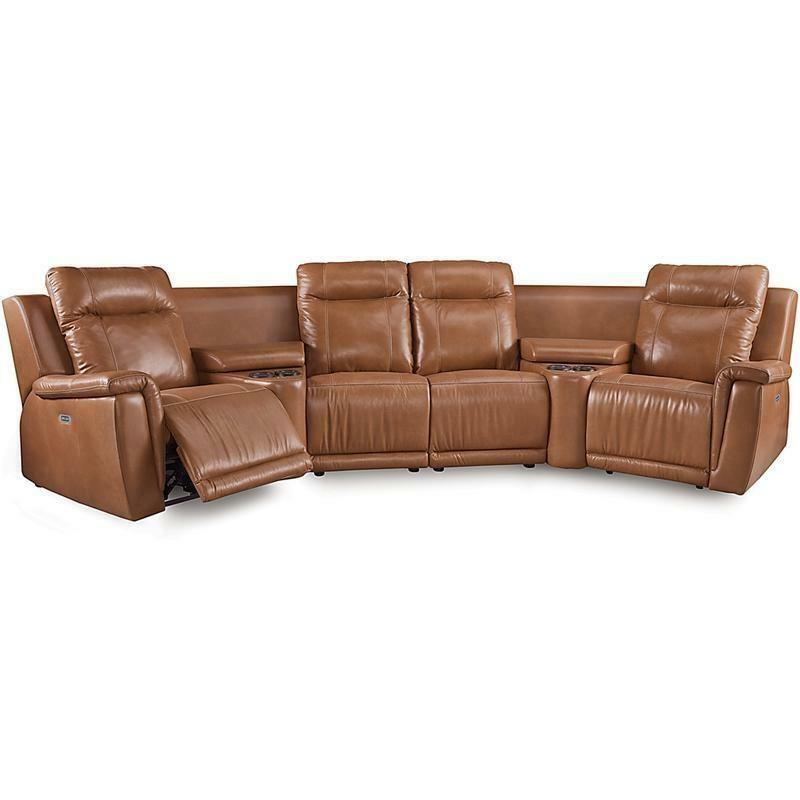 The Riley 3-Seat Wedge Separated Angled Reclining Sectional is made of a RHF power recliner, a LHF power recliner, a power armless recliner and two home theater wedge. They feature rolled arms, line tufted back, accent stitching, blown fibre filled back and high resilience seat foam. Whether you're looking to emulate the timeless look and feel of leather or to add a much needed pop of colour to your space, you can find a fabric that fits your wants and needs. The inherent advantages of leather, as well as the range of grades and colours available, make leather furniture an incredibly versatile choice. © 2019 Meubles Loren. All rights reserved.